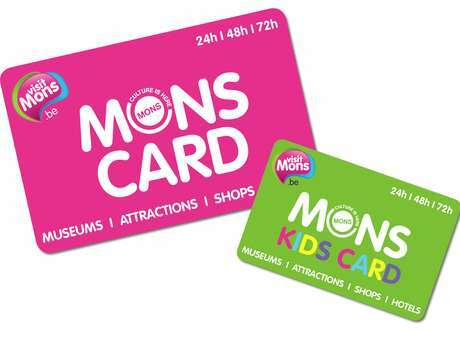 Home / See & do / Top Sights / Top 10 / Mons with the family / Where’s the fun at? / Adventure time / Dock 79, where thrills are guaranteed! Dock 79, where thrills are guaranteed! Whether you’re in the water or on land, there’s always something to do! “Dock 79” leisure park is the place to be for family thrill seekers! The site abounds with a multitude of outdoor activities that will appeal to young and old alike. Whether you’re in the water, hanging out in the trees or on land, you’ll have an unforgettable time! 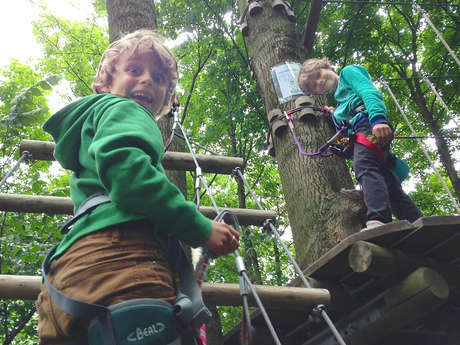 If you’re three years old or older, a little reckless or a big brave boy or girl, the “My Little Forest” tree climbing centre is the right place for you! Set in an oak tree forest, it has trails for children but also for their parents. Everyone can join in. Want an original evening with your family? Then listen up! Do tree-climbing at night with a head torch. Zip lines, a monkey bridge, hanging logs, a big rope swing and much more will prove to be big crowd pleasers. If you want to relax after a day full of emotions, you can do just so in a yoga discovery session. Available from four years old. Looking for big thrills...on water? Wakeboarding, wakeskating, kneeboarding, water skiing, stand-up paddleboarding – sound familiar? Thanks to two water ski lifts, you can try out these sports activities or hone your skills at “Belgium Cable Park”. In the evening, you can even book the lifts for a special evening! Also discover the “Le plongeoir” water park! On giant floating structures, the bravest children, or even parents who are still children at heart, can have fun climbing mountains, sliding on their sides and then jumping into the void...or almost! The site also has a series of trails for family walks through an incredible natural landscape. To extend your stay, you can even hire luxury tents, creature comforts included (beds, a table, chairs and a terrace). Visit “Bertine” food truck for a range of sandwiches, burgers, salads and more to soothe you after a long day. In short, this is a fun park where visitors are expected to spend a fair bit of time! Goolfy and Lasergame make a pair!